One major pop culture phenomenon taking over the world today is the Marvel Cinematic Universe (MCU). Based on comic books created by Stan Lee in 1961, the MCU has come out with several movies, TV shows, short films and digital series since 2008, with its films alone generating revenue of over $17 billion worldwide. I have been an absolute fan of both the comics and the movies for almost seven years now, primarily because the MCU combines action, drama, science fiction, romance, friendship, history, diversity, extra-terrestrial life forms and politics in a single platform. That being said, I am also a student of International Relations, and one of the fundamentals the discipline teaches us is that power in global politics – the ability to influence others and shape behaviour and public perception – is of two types. The first is hard power, based on a carrot and stick approach and manifested through military prowess and economic coercion. Soft power, the second type, introduced by political scientist Joseph Nye nearly three decades ago, has its roots in civilisational and cultural diplomacy and attraction. It is manifested through aspects such as language, food, cinema, tourism, investments, educational exchanges, art and architecture. Elements of soft power are not harmful per se, and are often not very clearly visible. Nonetheless, they give an edge to the country of their origin, mainly by creating a niche for its market internationally and making its culture become dominant across the world. A good example is the supremacy of the English language or even American culture through dear old ‘American’ Hollywood. Since I’ve studied this theoretical aspect, it hit me like a truck that the MCU undoubtedly projects America’s soft power across the world. This is not to state that there is a giant government conspiracy going on which uses Marvel to sustain US hegemony, or that the creators at Marvel are in cahoots with the US government to engage in propaganda. The argument is that the brand and the version of America Marvel projects ends up playing a huge role in steering America’s international image and cementing its place as a world superpower. I am merely pointing out that the comic books, movies and the TV shows are all an element of soft power of the United States, like pizza is for Italy but in a much bigger way. It’s also not the case that this applies only to Marvel, because Hollywood as a whole projects American soft power. And yet Marvel is the franchise with the biggest fan base, with fans all across the world obsessed with its superheroes, making it an overhyped pop-culture phenomenon. To make my argument clearer, it would be better to cite some examples of how the MCU has projected America’s soft power. 1. Most of the heroes, from Captain America and Iron Man to Black Widow and even Thor (a Norse god and not a human) are white. Asian and African representation has only gained some footprint in recent years, probably as a result of the sharp rise in calls for diversity on screen. A result of this movement was Black Panther, a highly successful film that celebrated Africa but which remains an anomaly, not the norm. 2. The aliens that have appeared to put human civilisation in danger have mainly managed to attack areas in or near America, which is where our heroes exist. Avengers depicted a massive alien attack in New York, and when Thor was banished to Earth, he landed in New Mexico. Do humans not exist in Lesotho or Brunei or Uruguay? 3. The positive focus on the US is in contrast with the demonisation of the former Soviet Union and the current Russian Federation as Cold War dynamics are reinforced. I once actually began to believe such government propaganda existed in real life, especially the HYDRA base in Siberia where the Winter Soldier was brainwashed. 4. HYDRA, the fictional science division of the German Nazi Party, is the obvious antagonist due to its destructive innovations. Of course, Nazis were some of the worst people on Earth who promoted white supremacy and killed millions, but let’s not forget that it was the US that placed humankind at the risk of a nuclear Armageddon. Similarly, Wakanda is shown to be an isolationist state unwilling to share its technology with the world but realises the ‘error’ of its ways and opens itself up by the end of Black Panther. This is a clear promotion of the free market, liberal, capitalist system found in the US itself. 5. The way non-western countries such as Afghanistan are projected (Iron Man) is also problematic. While all characters who do not belong to Earth are portrayed as misunderstood heroes (Thor, Guardians of the Galaxy), we know most Americans would treat ‘other’ people from Earth itself as outcast savages. 6. The most striking feature is that the US is projected as the leader of the world, the one that will save everyone and make the sacrifices necessary to ensure the survival of humanity; the unofficial parent state, if you will. 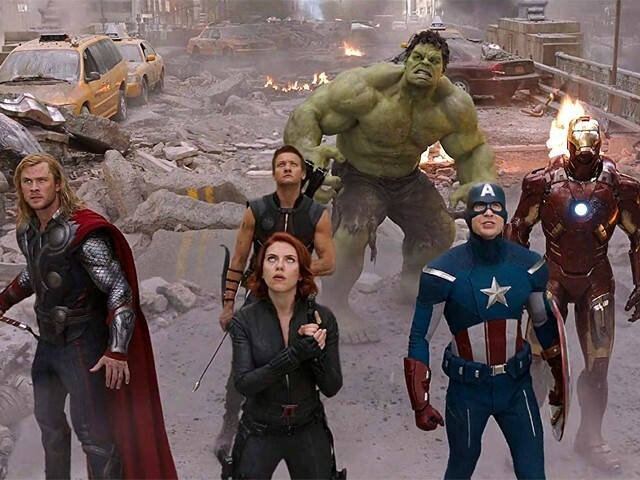 Whether in New York or the apocalypse in the fictional Sokovia, the world was shown to be saved only by the intervention of the US-based Avengers. Considering the US is responsible for a lot of devastation all around the world (Yemen, Iraq), this holier-than-thou projection of American intervention by Marvel simply makes me nauseous. The purpose is not to suggest MCU content should not be watched, but to make fans understand the tools used by this medium to project one side of the story by always painting certain factions as heroes and others as villains, often driven by a particular agenda. Cinema is a very important part of a civilisation’s cultural identity and should be celebrated, but not at the cost of endangering one’s own cultural security. Young children in our nation are growing up idolising a fictional Captain America, an American hero, without showing any familiarity with our own heroes, such as the brave Aitzaz Hassan. At a time when the international system is in flux and US power worldwide, though still immense, is in relative decline, soft power (such as through Marvel) is playing an important role in keeping people under the spell of Americanism, and the role of public opinion goes a long way in shaping foreign policy. At the end of the day movies tell stories and enhance cross-cultural understanding, but one must be well-equipped to analyse and scrutinise the messages they convey as well. One of the primary reasons why Pakistan is so susceptible to being influenced by the soft power of other countries such as India in terms of cinema is that our film industry does not provide a suitable alternative for audiences. In a nutshell, consuming content as it is without context or reading between the lines is not only harmful but it also makes one a puppet of mass media with no agency of one’s own. Entertainment is fine as long as it does not mess with one’s thinking and manipulate one into believing a pre-planned narrative. As we enjoy the next Marvel film in the theatres, let’s take a minute to also assess the underlying message in the content we are viewing.